From what I remember, there were few BJJ blogs on the web in 2004. In my own Cyberkwoon thread-log, I focused on MMA and some of the various other martial arts I did back then, as I had not started BJJ yet. Global Training Report is probably the longest running BJJ online journal, dating back to before the millenium (here's how it looked in 2002). Stephan Kesting's GrappleArts was a great resource in 2004, which it remains in 2014. The mighty Meerkatsu was active that year too, still teaching traditional jujitsu at Imperial alongside his BJJ training. I was in esteemed company when I moved over to Blogspot in 2005: a certain Danish blue belt, who had already begun trotting some of the globe, started a photoblog here. 'The Slideyhouse' thankfully became 'Slidey's Training Log' not long after its birth, stripped of the ungainly clumps of logos that filled up the left hand side (I had gotten a bit overexcited when I initially learned how to embed images). 2006 is when the site really got going, once I started training in Brazilian jiu jitsu late that year: here's how the site looked back in 2007, the same year I started my rather neglected technique summary. Two years along, I was finally convinced to shift to a custom domain, resulting in another name change: 'slideyfoot | bjj resources' (I soon added '.com'). 2006 was a good year for BJJ blogs. That's when Andre Anderson hit the blogosphere with this, along with the blogger I think of as the Godfather of BJJ Blogging, Aesopian. Matt has inspired me in many ways: for example, the title layout for my post-2009 site was based on his old blog title, aesopian.com | brazilian jiu-jitsu. 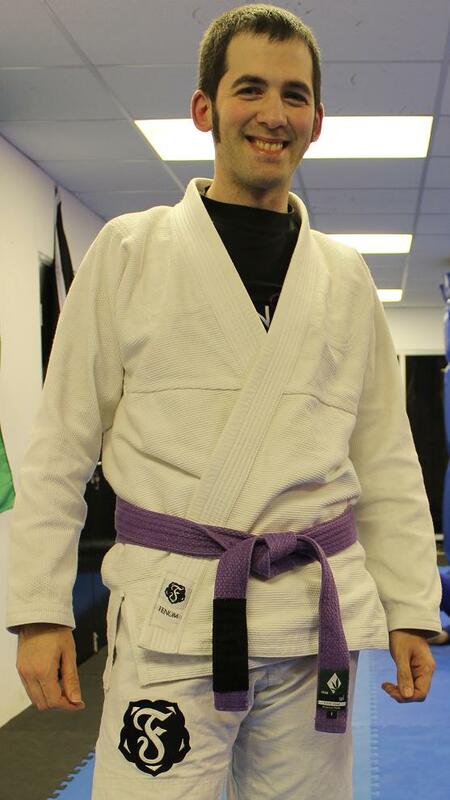 The following year was pretty good too, with a Roger Gracie brown belt called Nicolas Gregoriades sharing his thoughts here (some of which have recently become part of his new book), while Christian Graugart had gone from a Danish blue belt to a Danish purple belt blogging at ShogunHQ. He'd do something even more impressive when he set off as the BJJ Globetrotter in 2011, later binding those experiences in a print volume. Today, the BJJ blogosphere is enormous: I've currently got over 600 blogs in my blog index. The contribution of women has been especially powerful, and I'm not just saying that because I'm an ardent feminist. Georgette, one of several bloggers I've now had the immense pleasure of meeting in person, started her blog in 2006, like me pre-BJJ (handily for this article, last week she wrote a retrospective post about her training). MegJitsu, the blogger I most look up to, kicked off her superb blog in 2008 (I think originally on blogspot, later migrating to WordPress) with this post. Fellow fantasy/sci-fi fan Julia put on a white belt and started typing in 2010, gradually becoming one of the top bloggers in BJJ with an incredible knack for generating discussion. Following a journey from the start (or more commonly, near the start) is a special thrill I've experienced with a few blogs. Sadly, many of them have fallen by the wayside, digital tumbleweeds rolling across their neglected RSS feeds. Fortunately, some - like Julia and another of my favourite bloggers, GroundWork editor Megan, who shifted from Posterous to Blogger - have managed to stay the course. Others have even surprised themselves by their longevity, like Shark Girl, who only intended to stay in BJJ a scant four months. I'm very pleased that she is still with us, three years later. Even though I know most blogs won't last, I always feel the same excitement when I encounter a new, well-written and engaging blog. Appropriately, that first ever blog post I mentioned at the start of this article was written during my initial stint in Bristol. The objective back then was to share my thoughts on different schools, geared towards the kind of audience there was on Cyberkwoon and Tung Fu. By 2006, the intention had changed: I wanted to list somebody's training in BJJ from the beginning. That's still the goal today, though it has gradually become more about providing resources to help people along the way. That's incredible! Glad to see you constantly putting out interesting material. Cheers and onto the next 10 years! Happy blogiversary! I loved the history of BJJ blogs! Well done. Happy to have shared that journey with you so far. Thanks Seymour and Megan! It would be interesting to know who has been blogging about BJJ the longest, though I'm fairly sure it's Global Training Report, if that counts as a blog. Thanks for the shout out...made me think of how much I've learned from fellow bloggers. I miss Dev Kostal and his blog Fueled By Fear, a ton. Yeah, Dev had lots of good stuff on his blog. It's such a shame when well-written blogs die, especially when they are killed off completely by their owner (like Dev's).